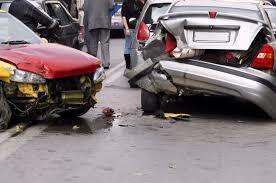 1.25m people die in road accidents annually – WHO – Royal Times of Nigeria. No fewer than 1.25 million people died as a result of road accidents every year, the World Health Organisation (WHO), said on Friday. WHO, in a new report ‘Managing Speed’, also said that “excessive or inappropriate speed contributes to one in three road traffic fatalities worldwide”. Road traffic fatality rates are nearly 3 times lower in Europe compared to Africa, WHO said. According to the global health body, measures to address speed prevents road traffic deaths and injuries, make populations healthier, and cities more sustainable. “Around 1.25 million people die every year on the world’s roads. Studies indicate that typically 40 to 50 per cent of drivers go over posted speed limits. “Drivers who are male, young and under the influence of alcohol are more likely to be involved in speed-related crashes. “Road traffic crashes remain the number one cause of death among young people aged 15 to 29 years. “They are estimated to cost countries from three to five per cent of Gross Domestic Products (GDPs) and push many families into poverty,” WHO said. WHO said only 47 countries comply with speed management measures. These measures are, implementing an urban speed limit of 50 kilometres per hour or less and allowing local authorities to reduce these limits further on roads around schools, residences and businesses. WHO Director-General Dr Margaret Chan said “speed is at the core of the global road traffic injury problem. “If countries were to address just this key risk, they would soon reap the rewards of safer roads, both in terms of lives saved and increases in walking and cycling, with profound and lasting effects on health”. The UN agency recommended some speed management measures, among which are building or modifying roads to include features that calm traffic, such as roundabouts and speed bumps; and establishing speed limits appropriate to the function of each road. Others are enforcing speed limits through the use of manual and automated controls; installing in-vehicle technologies in new cars, such as intelligent speed assistance and autonomous emergency braking; and raising awareness about the dangers of speed. The UN Week is a unique advocacy opportunity that contributes to achievement of the road safety-related Sustainable Development Goal targets 3.6 and 11.2. On the occasion of the UN Week, WHO will also release ‘Save LIVES: a road safety technical package’. The package details 22 key evidence-based measures considered most likely to impact on road traffic deaths and injuries, including a number linked to managing speed. CBN Approves N2b Facility for Poultry Consortium at Shonga Farms.